Largemouth bass are one of the most popular game fish in North America, so there is a considerable amount of information shared between anglers about this prized species. Unfortunately, some of the information passed along as fact is complete nonsense. Having credible information about largemouth bass is essential when pursuing and trying to successfully catch them. 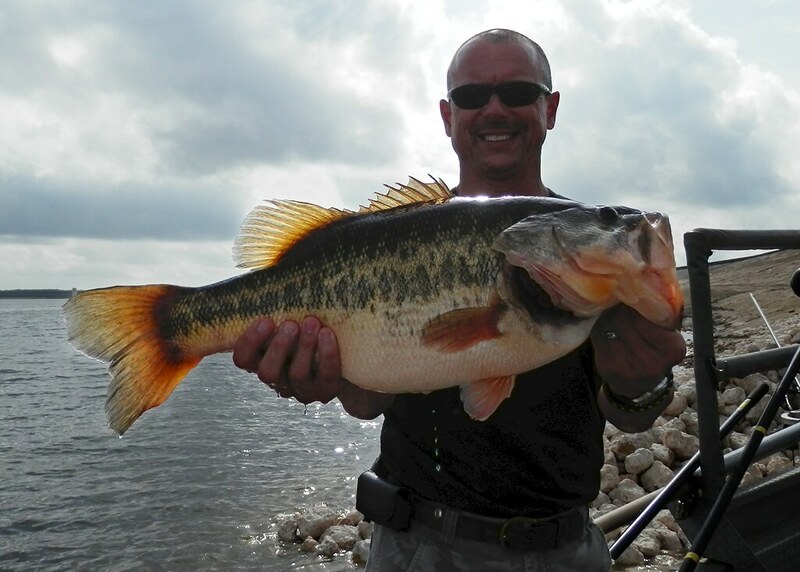 Here are six common myths about largemouth bass passed along as fact. Among the most persistent myths about largemouth bass relates to their feeding activity in cold weather. There is a sizeable number of bass anglers who believe that largemouth bass stop feeding when the water temperature drops into the 30s. If bass did not feed during the cold winter months, they would die. It is true that in cold water the metabolism of largemouth bass slows down and they feed less frequently, but they do not stop feeding. Within the northern range of the largemouth bass, plenty of anglers catch them through the ice. Many bass anglers believe that bass primarily feed on sight, which is not true. Although sight can play a significant role in what prey a bass chooses to pursue, it does not feed only on sight. As with other game fish species, bass depend heavily on their lateral lines, which detect movement in the water and help the fish feed effectively at night. The lines run across the sides of the fish, to the head and mouth area. A well circulated myth about largemouth bass claims that you need to fish with big baits to catch jumbo bass. While it is true that bigger bass are capable of eating larger prey than smaller fish, it is not true that bigger baits will catch more big fish. Largemouth bass are not picky about the prey they eat. They will eat what is available, big or small. Some anglers believe that you have to fish deep to find really big largemouth bass. Unfortunately there is absolutely no truth to this. Huge largemouth bass can be found at the same depths as small largemouth bass. Food availability, cover and water conditions are the key factors in where they will be found. It is often said that when the water is cold, you need to work baits more slowly to catch largemouth bass. This is another myth. No matter what the temperature, a bass can swim faster than you could possibly retrieve a bait. If it wants your bait, it will go after it and hit it. It is sometimes stated that bass like to stay in dark or shaded areas, because they do not have eyelids, so they are sensitive to bright sunlight. This is not true at all. It is true that largemouth bass do not have eyelids, but their eyes are able to regulate how much sunlight reaches their retina, so they are not sensitive to sunlight.